The legislative committee charged with overseeing the Arizona Department of Child Safety is meeting this week, possibly for the last time. 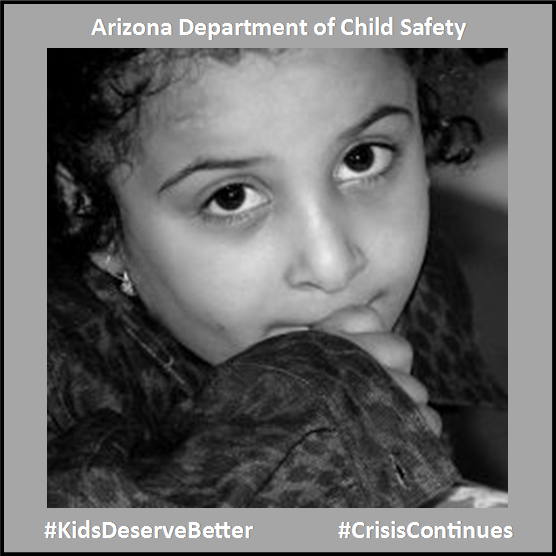 DCS was created two years ago in response to crises—like a backlog of approximately 15,000 uninvestigated cases—that were putting Arizona’s most vulnerable children at risk. When the agency was established, it was required to report regularly to the Joint Legislative Budget Committee on its progress in solving those crises. But after two years, our child safety system is still in bad shape. The backlog, which was supposed to be eliminated long ago, still numbers at nearly 5,000. 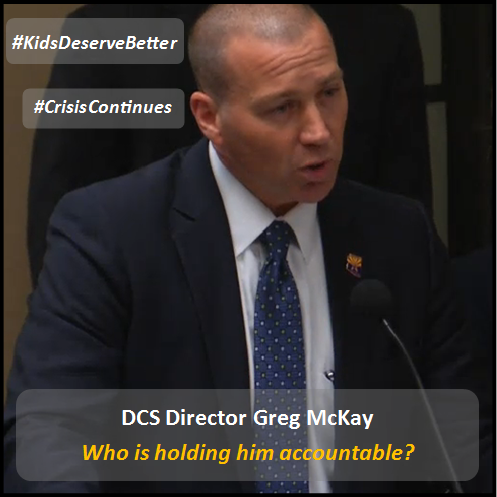 Director McKay has failed to reverse the agency’s high staff turnover rate, which puts children at greater risk, reduces efficiency, and wastes money. For months, DCS has been losing more caseworkers than it is hiring. And despite all the persistent problems, Director McKay is choosing to be less transparent with lawmakers and the public. That is why this week’s oversight committee is so important. Governor Ducey and Director McKay need to be held accountable. But Director McKay’s track record of ignoring reform recommendations and best practices and his decision to reduce transparency prove that he can’t be trusted to hold himself accountable. Since we can’t count on the governor to hold Director McKay responsible, the legislative oversight committee needs to be reauthorized, and public pressure needs to be maintained. The lives and wellbeing of thousands of children depend on this agency. Click here to watch the oversight committee live on Thursday morning at 9:30. And if you want the governor to know you expect more from him and from Director McKay, click here to find ways to be heard. 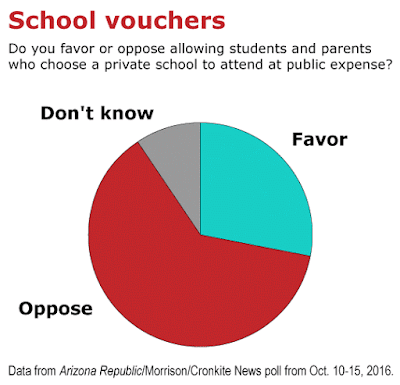 Signs that Arizona’s public schools are in trouble—and that the state’s Republican leaders are not doing enough—seem to be appearing at an alarming rate. Most recently was the news that a national study rated Arizona the least attractive state in the country for teachers. The Learning Policy Institute’s research shows that Arizona has the highest state-wide turnover rate and that nearly a quarter of Arizona’s teachers will be eligible to retire by 2018. It’s hardly surprising, then, that the Arizona School Personnel Administrators Association’s voluntary survey reported more than 8,000 openings among 130 of Arizona’s school districts this year. 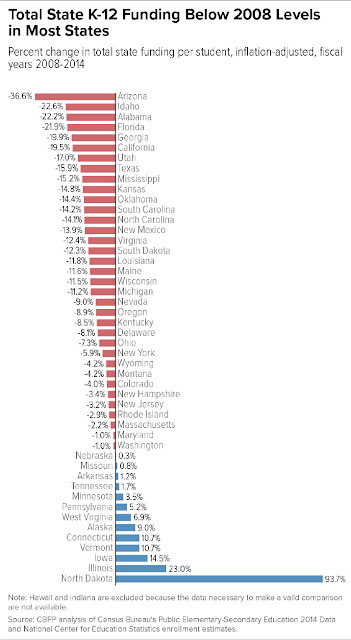 But, while it’s no longer surprising that our state ranks so badly in so many measures of quality education, the problems facing our schools are still shocking. 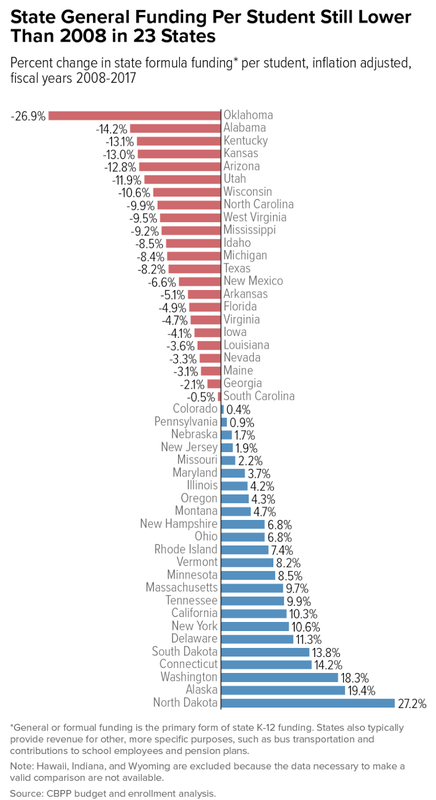 Arizona has faced teacher shortages for years. And House Democrats have been trying to solve that problem for years. 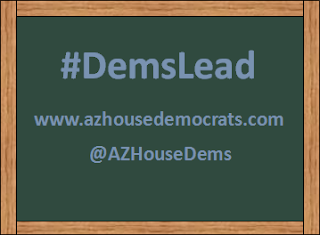 This year, we proposed creating a new teacher mentoring program, instituting teacher retention bonuses and restoring $116 million in K-12 funding that Republicans cut in 2015. Republicans rejected every one of those proposals. Neither do we. We don’t know what might ultimately convince Legislative Republicans and Gov. Ducey to do more for public schools. 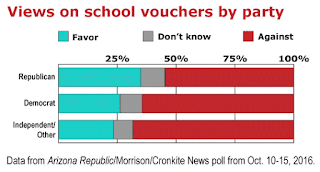 But House Democrats are going to continue fighting for public education—for the nearly one million students in Arizona’s public schools and their teachers—at every opportunity because our state’s future hangs in the balance.